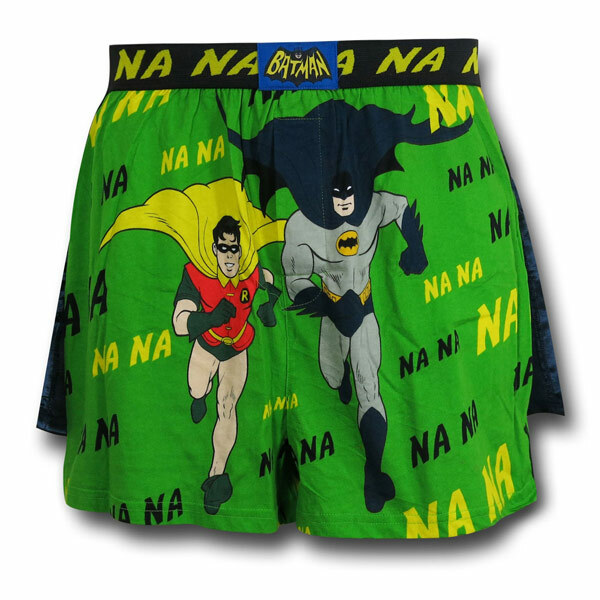 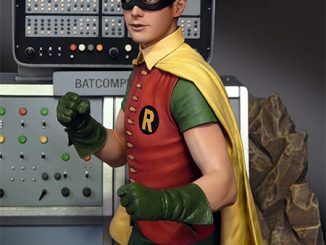 These Batman 66 Running Duo Boxer Shorts will make you sing the theme song from the old 1966 TV series. 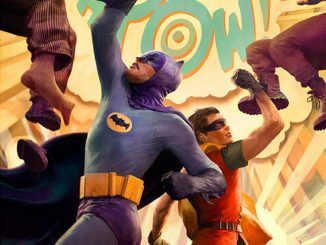 They show Batman and the boy wonder running toward danger, along with the Na na na na na of the song. 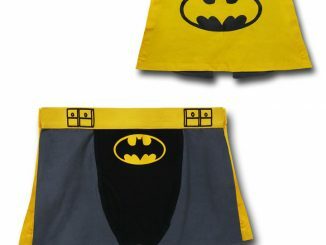 It comes with a detachable cape and is 100% cotton. 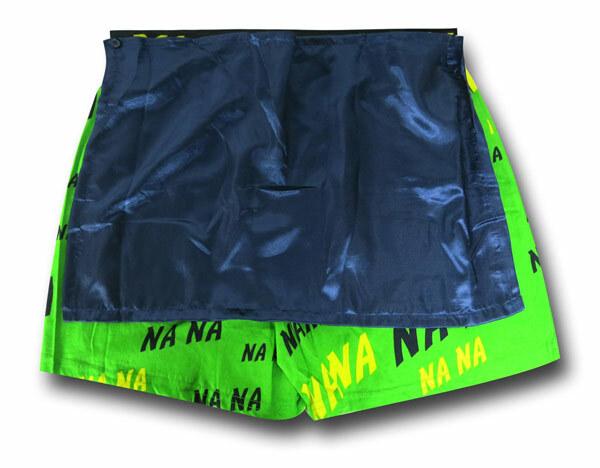 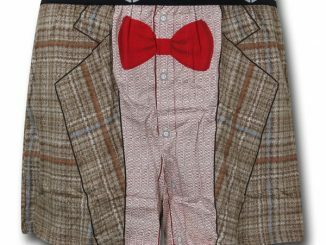 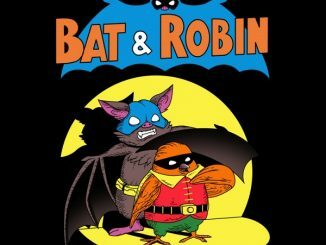 These shorts are colorful and retro and are perfect for fans of Adam West’s Batman and Burt Ward’s Robin. 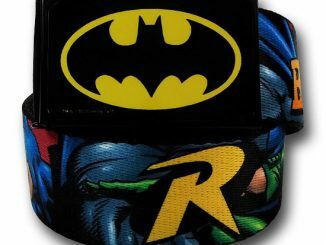 They make a great gift for your fellow Bat-fans or for yourself. 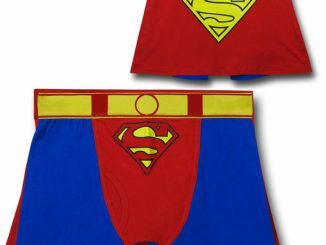 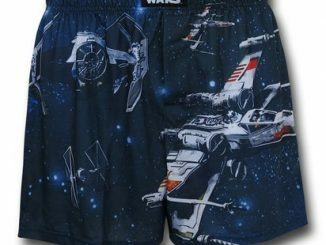 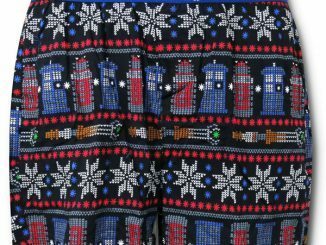 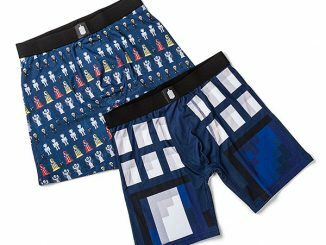 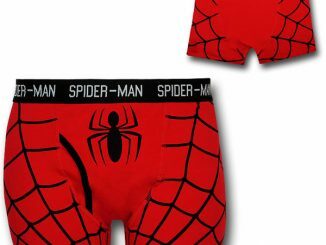 This awesome pair of boxer shorts is just $15.99 from Superherostuff.com.